Your resource for all things shoegaze and dream pop: Interview: Boys Beware. Boys Beware is a four piece out of Wichita, KS, and is comprised of Eric Medlin, Luke Buckman, Eric Harrison and Tyler Kelley. Their sound has been described as somewhere in between the nebulous realms of indie rock/post-punk/gothic revival/shoegaze, and they first hit our radar earlier this year when we heard them via the Killredrocket Records' compilation, Jesus in Space 2011: The Resurrection. 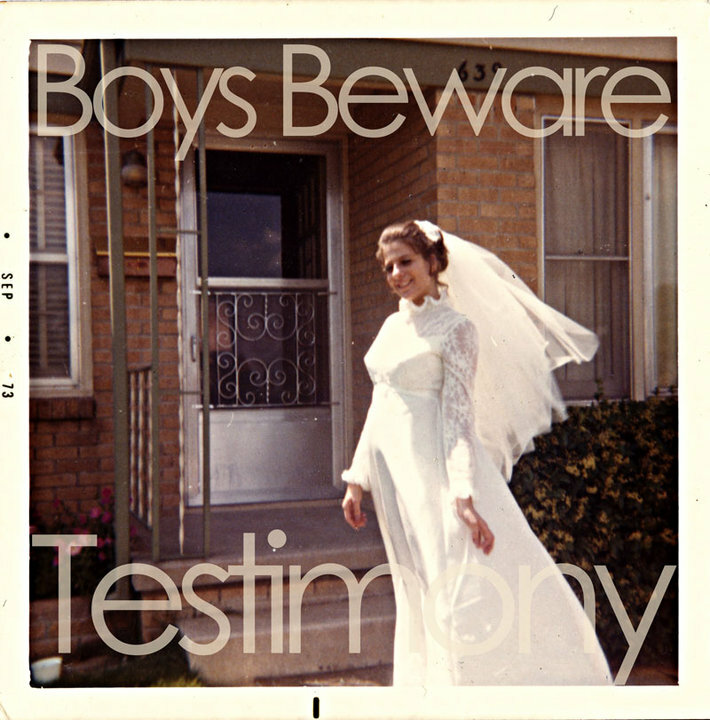 That one track was intriguing enough for When The Sun Hits to seek out Boys Beware's 2010 debut LP, Testimony, which was likewise not disappointing in the least. Get to know Boys Beware - their unique sound deserves your attention. All of us had individually played in bands separately from one another with our drummer, Eric Harrison in the past. When Boys Beware was beginning, It was just our keyboardist, Luke and him. A second keyboardist (who is no longer with us) joined, Eric Medlin and Tyler we both later chosen for their individual abilities and our belief that they would be appropriate for the type of band we were hoping to start. We are finishing up a video for our song "Claire" from our debut LP Testimony (the still image on the right is taken from that video - and should be enough to make you want to see the rest of it immediately. We certainly want to. -WTSH.). We are also currently working on a series of 4 CD eps with approximately 5 songs a piece released on a seasonal basis hopefully starting this spring. 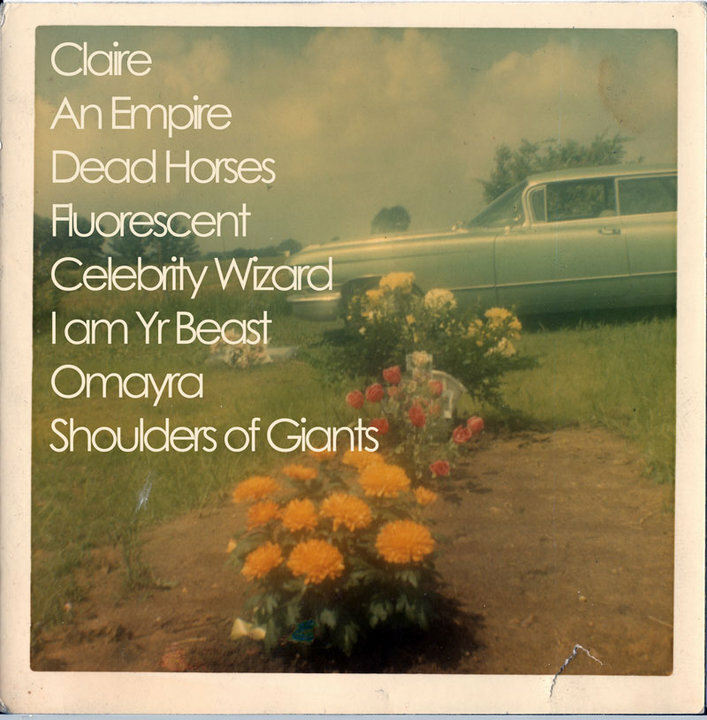 The best songs from these will later be chosen, along with whatever new material we are working on in the future for a vinyl LP to be released approximately a year from now. We are also discussing touring the Midwest sometime in early summer. 3. Where does the name "Boys Beware" come from? Boys Beware is the title of a preposterous 1961 anti-gay propaganda film. The film characterizes all homosexual men as predators, as a threat to young men everywhere. We chose the name, both because of the way it sounds and as a symbol of solidarity with our gay friends and family along with all other individuals seeking basic civil rights. 4. Are you currently affiliated with any record labels, or are there any out there you'd love to work with? If not, do you find that the DIY method works best for you? We are not affiliated with anyone. We believe that things that we can do ourselves, we should do ourselves. 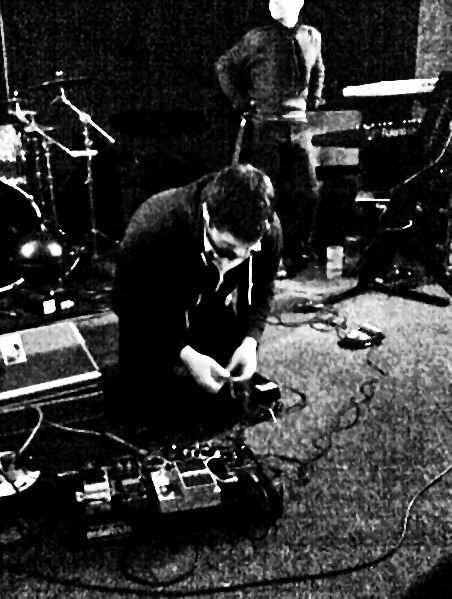 We record our own releases, design our own packaging, make our own videos (with a bit of help from some friends), book our own shows, etc.. We would certainly be willing to work with a label, provided that they could provide us with something that is currently unavailable or difficult for us to do alone, tour booking, promotion, or whatever. At the same time, we would need to retain creative control. 5. Do you consider Boys Beware's music to be part of the current shoegaze/dream pop/noise scene, or any scene? To me, your sound is more post-punk/gothic revival with interludes of shoegaze, drone and noise. (Even though "scenes" and "genres" are lame words to describe art, they at least helps readers get an idea of your sound.) What are your thoughts? I don't know that we consider our music to be part of any scene, aside from the blanket "indie" category. It feels like we fit in with a lot of different things, and there are ideas that we have pulled from various shoegaze and goth bands, but we haven't really met any artists that do what we do. On the whole, we listen to more of the old guard. Cocteau Twins, My Bloody Valentine, Ride, The Jesus and Mary Chain, Lush...the list goes on. 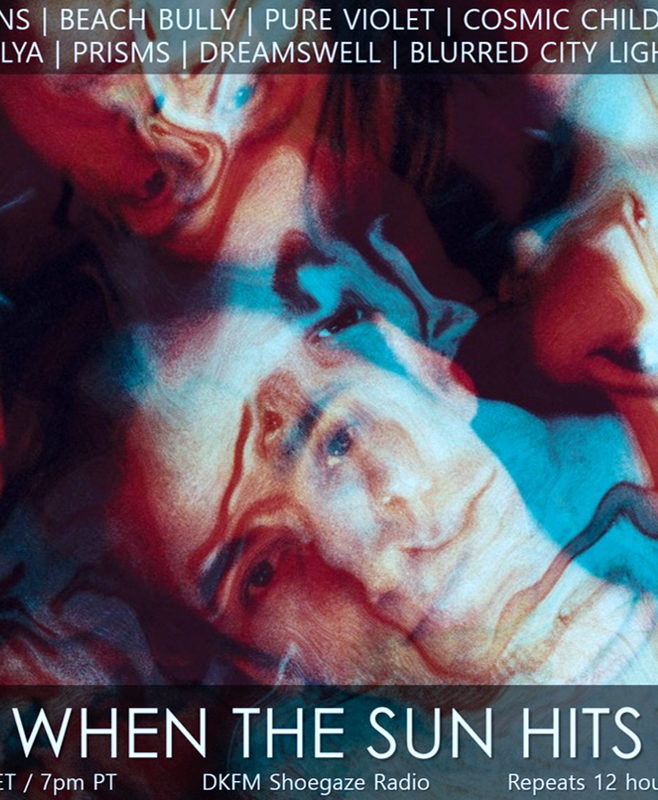 Modern bands...Astrobrite, Bloody Knives, M83, Shoegaze tinged bands like Silversun Pickups. Synthesizers, Bigsby tremolos, reverb and delay pedals. 8. What artists (musical or otherwise) have most influenced your work? David Bowie, The Smiths, Joy Division, The Psychedelic Furs, The Legendary Pink Dots, My Bloody Valentine, The Cure, M83, Frog Eyes, Nick Cave, Bear in Heaven, Sonic Youth, and Black Sabbath would be a good start. Buffy the Vampire Slayer marathons, the films of Alejandro Jodorowsky, Yeasayer, the new Destroyer record, and the idea that cats are people too. 10. If you had to choose one Boys Beware track that was the ultimate definition of your sound, which would it be and why? "Claire". 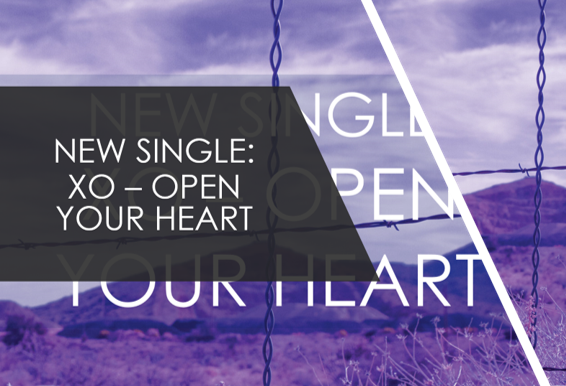 It is perhaps the first song written for this band, and encompasses a lot of what we do within 5 minutes. I had no idea this band was from Wichita, KS. So maybe there IS hope for the "Heartland," after all! Also, I'd have to say that their taste in musical influences is IMPECCABLE. Another great band that I have discovered through the wonder and majesty of WTSH. Thank ye, much obliged. glad you enjoyed jim, thank you! i (amber) am personally obsessed with these guys' video for "flourescent" (the one posted) ... the imagery is beautiful and brutal at the same time, it's mesmerizing.